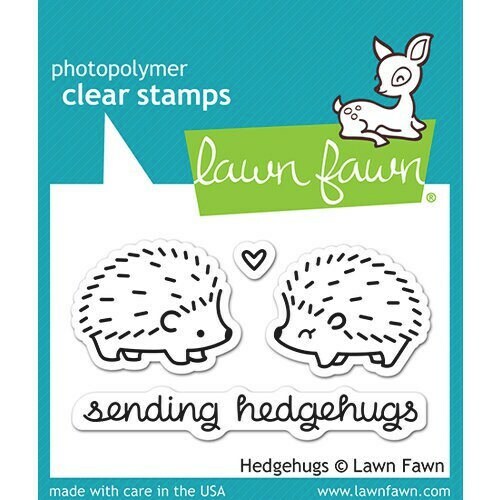 You'll love the clever phrase and adorable images of the Hedgehugs Clear Acrylic Stamp Set by Lawn Fawn. This set coordinates with the Hedgehugs Lawn Cuts custom craft dies (pp-lf730), sold separately, and can be used with any acrylic block (sold separately). The package includes four acrylic stamps that are made in the USA from the highest-quality photopolymer.